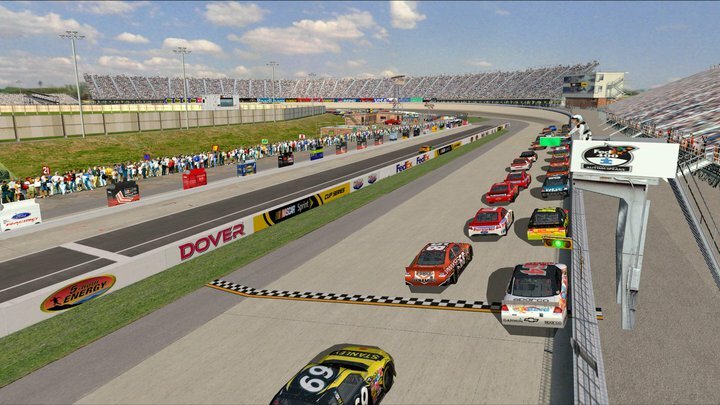 Adds Sprint Cup, Nascar & New Dover logo's to track walls. Adds some modern logo's to the pitwall. Adds static scoring tower in correct location. 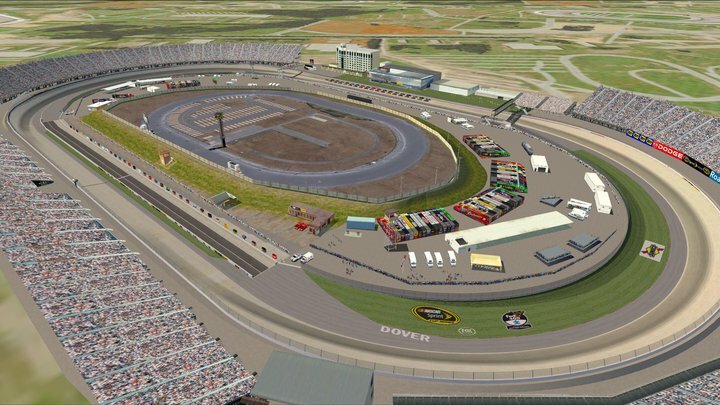 Adds Legends Oval to infield & some ground logo's in turns. Adds Whelen Pit Entry & Pit Exit lights. Adds new track logo, trackshot and winners screen. Adds walkway to turn 3, shadow is fake and will not cast a shadow on the car unless you are using the "shadow from object" ini mod. THIS UPDATE IS ONLINE COMPATIBLE WITH SERVERS THAT DO NOT HAVE THIS UPDATE INSTALLED. THERE IS NO NEED TO INSTALL THIS PACKAGE ONTO A RACE SERVER, THE "UPDATES" ARE MODEL AND TEXTURE UPDATES ONLY, THE PTF IS NOT MODIFIED. The logo updates are done within the limitation of the game itself without modifying the original track ptf file (for online compatibility), this means although the logo's look nice, they are not accurate in their position or design. Revamped Reloaded for use of some textures, scoring tower 3do and the turn 3 walkway (I used part of the model but replaced the majority of it to improve fps).